You may have seen those funny cat images with captions online (LOL Cats), read the New Yorker caption contest/played the game, or written captions for social pictures. 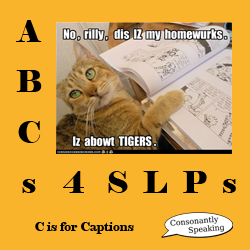 There are many fun ways in which you can use captions to develop speech and language skills. 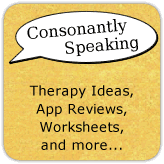 This post will outline some different ways to use captions in speech-language therapy. 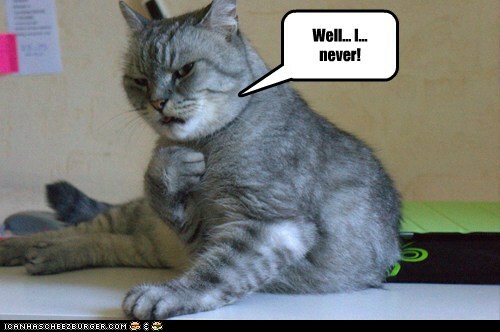 If you want to go the silly route when working with captions, find images of different animals in funny situations online and have students write a caption for what the animals are doing. Choose images which involve client's speech sounds and have them read their captions aloud. You can also work on expressive language skills through writing the captions (although, I would make sure the students don't use incorrect grammar like with LOL Cats). Another idea is to play a game where whoever has the funniest caption wins a point. 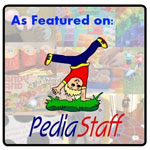 There are even different board games and flash cards related to writing silly captions for pictures. Two of these include the Domokun Caption This! 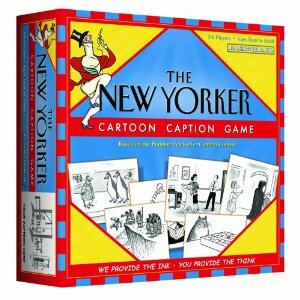 Game and the New Yorker Cartoon Caption Game. Another idea for using captions in therapy is to take comics out of the newspaper or from online and cut the captions/dialogue off of the comics. You can have students read new captions aloud, write new captions for the comic, make inferences, work on conversational skills, and social inferences. A way to use captions for social inferences is to have pictures of people in certain situations and discuss how they feel, what happened, and problem solve what to do next. Then, have the client write in a caption for what is happening and what the character chooses to do next. Finally, captions can be used for inferences/predictions of what happens next in a story. Have students write a caption for each event in a story and draw a picture with a caption underneath for what they think will happen in the next panel. Search on Google Images or http://icanhascheezburger.com/ to find some funny pictures to caption! If you find any funny ones, feel free to share them with me by posting a link on this post! I'm always up for a good laugh!